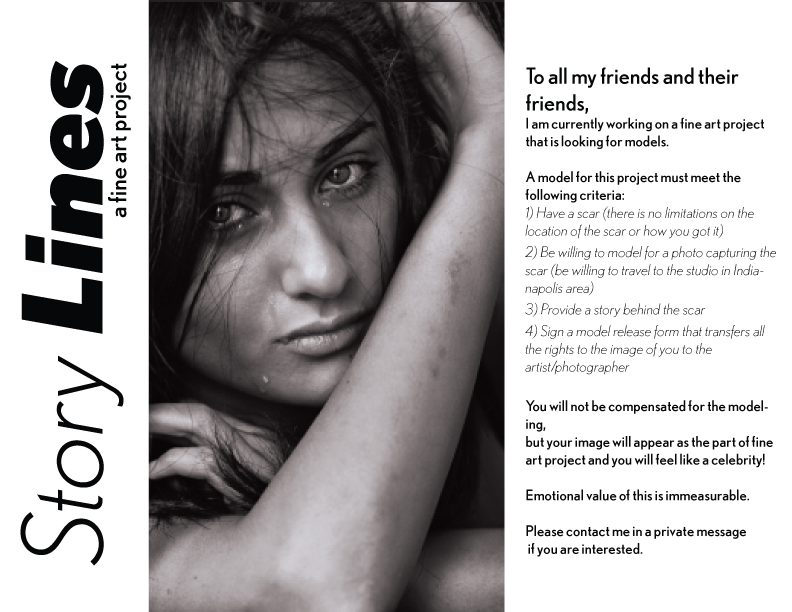 I am currently working on a fine art project that is looking for models. You will not be compensated for the modeling, but your image will appear as the part of fine art project and you will feel like a celebrity! Emotional value of this is immeasurable. Please contact me in a private message at anya.pany@gmx.com if you are interested.